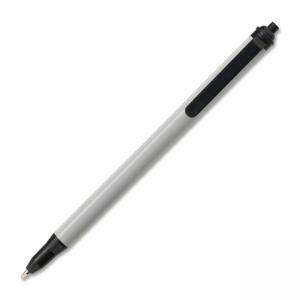 Retractable ballpoint pens glide smoothly and produce continuous skip-free lines. Clips, tips and clickers match ink color. Have gray barrels and medium points. Retract to protect pockets and purses. Nonrefillable.